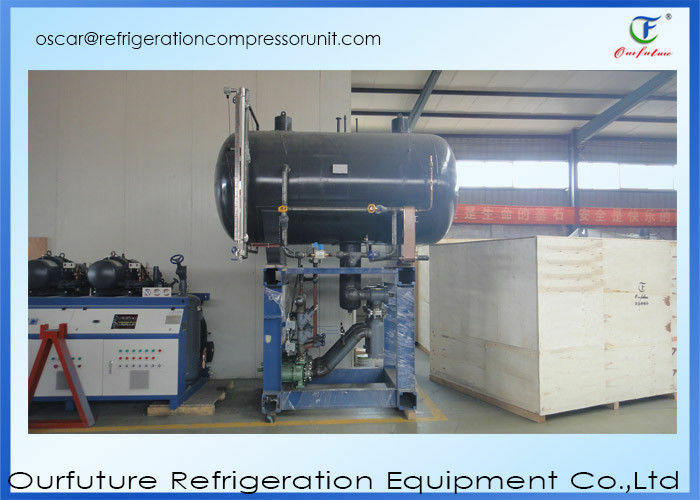 High efficiency energy saving fluorine barrel type pump system is a refrigeration system utilizes pump principle, running by delivering liquid format refrigerant into evaporator. The throttled low temperature refrigerant liquid, firstly enters a low pressure cycling barrel which has certain liquid storage space and gasliquid separation space, then uses a fluorine pump pumping the low temperature liquid refrigerant which has several times larger volume than evaporation amount, into the evaporators in each cold room. Most of the liquid in the evaporator absorbs heat and turned into gas, the rest of the liquid goes back to low pressure circulation barrel through return pipe along with gas, after gas-liquid separation, the gas will be taken away by compressor, the liquid left together with newly added liquid which has a volume equivalent to refrigerant amount, are pumped back to evaporator to complete the recycling. ● It ensures long enough distance liquid feeding. By using the pumping principle, it can overcome the resistance loss in the system, to guarantee a long distance feeding. 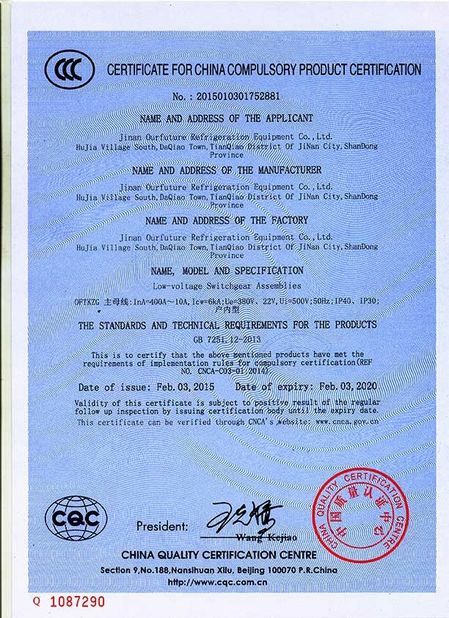 The system is simple but reliable, it’s convenient for centralized control and automation, the operating condition of the compressor can be improved. Fluorine pump feeding system can maintain its function without frequently adjustment as long as barrel has relatively stable level of liquid and the heat load of the room doesn’t have large fluctuation, this will make the automation of the refrigeration more easily. ● Hot fluorine defrosting is easy to operate. In the fluorine pump feeding system, when defrosting, it directly lead the left liquid in the evaporator into low pressure cycling barrel, after defrosting finished, turn on the pump then the evaporator liquid feeding will be carried on. 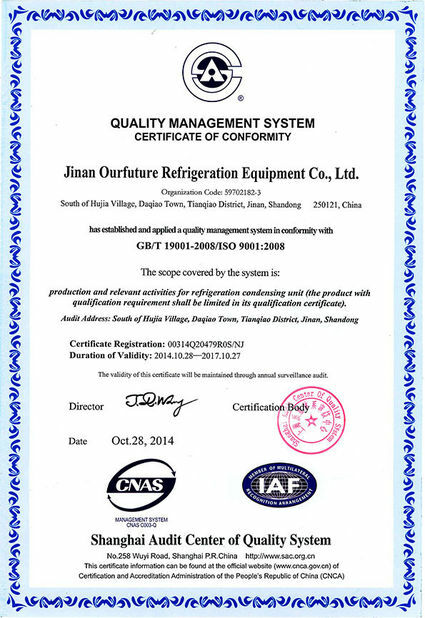 It returns the cold room temperature more faster, very easy to operate. ● Horizontal barrel pump system is a combination of large refrigeration unit developed by us in order to meet industry need. 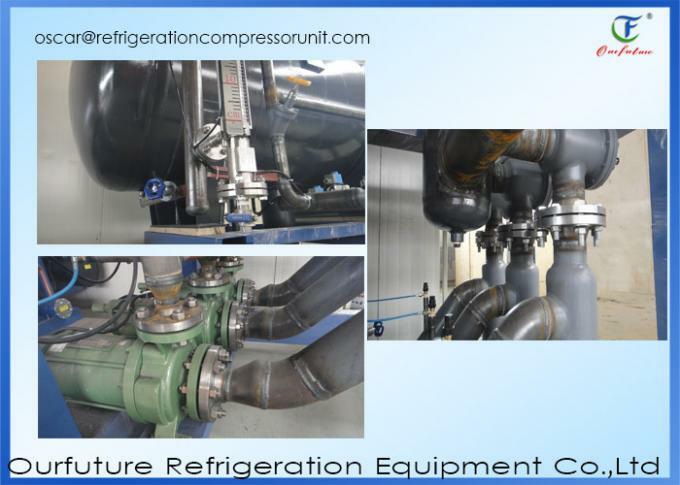 This system unites the horizontal low pressure cycling barrel and fluorine pump onto the same steel frame,together with process piping, valves and controlled components, completes the barrel-pump integrated refrigeration system. It has auto feeding, liquid level display, fluorine barrel auto alarming system and double protection including liquid level over filled alarm and over heated control, etc. the bottom as well will not easy to accumulate oil dirt, in this case the pipe wall can remain a good heatexchange performance. In conclusion, using same evaporator, fluorine barrel pump feeding has a 25~30% betterresult than direct evaporating.